​After 15 Minutes with the Lucia Light, the brainwaves become structured and calm and change from agitated and anxious to peaceful and relaxed. Gamma and Beta to Alpha and even up to Theta and Delta. ​What is the Lucia Light? The Lucia N°03 Light is a neurostimulator. The Lucia Light combines flashing and constant light to stimulate temporary EEG brain wave patterns that help users achieve a hypnagogic trance. During a session, you sit or lay facing the Lucia #3, close your eyes, breathe, and relax. The white light passes through your closed eyelids to the pineal gland, often referred to as the third eye, which is stimulated to produce mind-activating hormones. The Lucia #3 offers the benefits of deep meditation through accessing an expanded state of consciousness almost immediately. There is no therapy, but a self encounter into a spiritual dimension. It's a great solution for those that say "I can't turn my mind off." Lucia and your brain paint pretty pictures (similar to the gif below) to make it easy for your mind to get quiet and enjoy the ride to relaxation. ​Lucia N°03 supercharges the brain with light energy. It turns to consciousness as a state of health and wellbeing that is always available when not obscured by daily distractions and thought processes. The brain is able and known to heal the body, at any stage of illness (spontaneous remissions). Light has played a central role in the treatment of various conditions e.g. mood disorders, insomnia, anxiety, depression, PTSD, tumors, compulsive and mental disorders. The range of applications is unlimited. Currently, the most consistent feedback is a positive sense of peace and well being, with high quality restful sleep following a light session. ​​It is not a medical device or theraputic treatment. The FDA has not evaluated the Lucia Light and its use, so we make no medical diagnoses or claims. We can however, tell you that it is amazing! What am I going to see? What will it look like? We don't know. The image above is NOT ACTUAL FOOTAGE of what someone saw under the light. It is definitely possible to see moving images similar to this. Yes, the white light from the Lucia actually looks this colorful. This little gif can give a decent idea of something one might see. None of us are the same, and we can't predict or have expectations to anyone's experience in a Lucia Light session. Every experience is different for every individual every time. There are infinite possibilities of what you can see and where you can go. Longer or more frequent sessions definitely allow one to go deeper. A demo is just the entryway, don't stop before your breakthrough. Yes, it is really all just white light: 1 halogen and 8 LED bulbs. 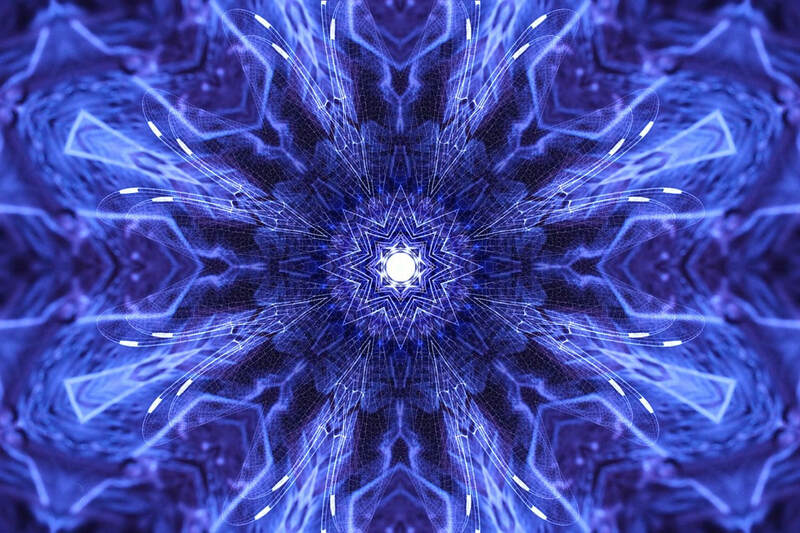 ​Through varying frequencies of white LEDs and white halogen in front of closed eyes, stimulate the pineal gland, taking you on an incredible visual journey which is unique to each individual and usually includes a wide range of colors, vortexes, fractal patterns and sacred geometry.